Dimensions 1.50 by 8.25 by 10.50 in. About: Mechanics of Materials is the uncontested leader for the teaching of solid mechanics. About: Beer and Johnston's Mechanics of Materials is the uncontested leader for the teaching of solid mechanics. About: For the past forty years Beer and Johnston have been the uncontested leaders in the teaching of undergraduate engineering mechanics. 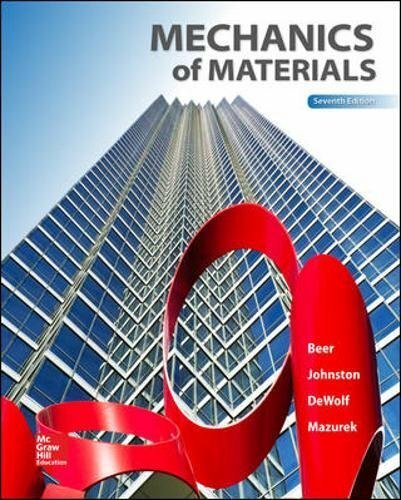 About: At McGraw-Hill, we believe Beer and Johnston’s Mechanics of Materials is the uncontested leader for the teaching of solid mechanics. About: Available January 2005 For the past forty years Beer and Johnston have been the uncontested leaders in the teaching of undergraduate engineering mechanics. About: Beer and Johnston’s Mechanics of Materials is the uncontested leader for the teaching of solid mechanics.